I have been to the Mill several times and, though it takes up a full floor of an old building, the set up is full of fairly confined areas - rooms, corridors, lots of doors and little corners etc. The best sort of primary would be a very short AEG/smg or even a pistol. I have not yet been to Level 2, and only have photos and a couple of video clips on Faceache to go on, but there seem to be more open spaces there. It looks like you can shoot out to 30 yards and beyond in many places. Of course photos can lie, and so I thought I would ask anybody who has been to both: are these two sites set up for slightly different styles of play? Guns: Yes.. I like those. 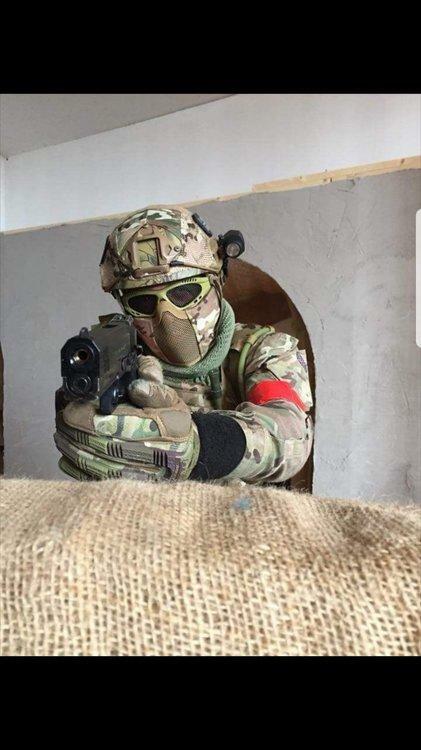 Not been to Level 2 as of yet, Wouldn't mind giving it a go, I am a member of FAO the Mill, and Thus far have really enjoyed the Site, Definitely a CQB site, Staff are top notch and really have a passion. Thanks Zippy but you haven't really answered my question. I am old and have physical weaknesses that prevent me from moving fast. At the Mill I can easily move through the confined areas at my own pace. What i want to know is are there large open killing spaces in Level 2 that require players to run a lot? i know what you mean. Played at the Wigan Mill and planning to play at Level2. Level 2 looks to be a bit more bigger and like you said more open space. People who have played at Level 2 have said that its really good.